130-plus TPJ postings relating to Perry by scrolling down the right-hand column of the home page and clicking on the "Rick Perry" label. Our 2011 background report documenting Perry's many conflicts and controversies. Lobby Watch Report: Nuclear Compact With the Devil? Lobby Watch Report: Don't Trash Texas Until Your Give Perry $1.1 Million. Lobby Watch Report: Waste Kingpin's $$ Predicts Nuke Dump Support. TPJ has documented the many shortcomings of Perry's economic development funds. Lobby Watch Report: Texas Big Three Bag Enterprise-Fund Millions. Con Job: Report Finds Most Texas Enterprise Fund Grantees Failed to Deliver in 2010. Report: Enterprise Fund Grantees Give $7 Million: Rick Perry's Piggybank. TPJ Shark Week reports documented connections between Perry and Texas lobbyists. Report One: Perry's Roomie Toomey Mobilizes the Corporate Lobby. Report Two: Governor Runs Farm Team for Lobbyists. Report Three: Perry Appointees Morph Into Lobbyists. 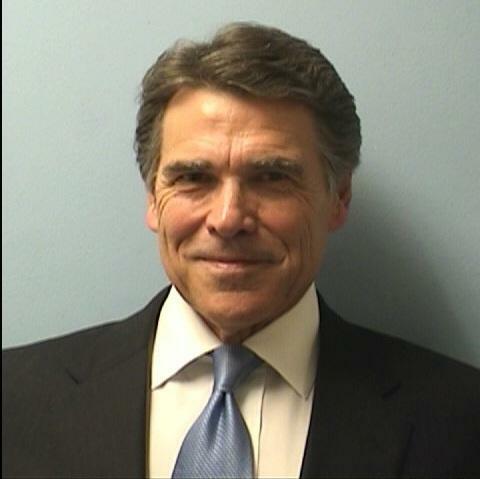 Fact-sheet on Rick Perry criminal indictments, June 2015. The Texas Court of Criminal Appeals dismissed the charges against Perry in a pretrial ruling in February 2016.